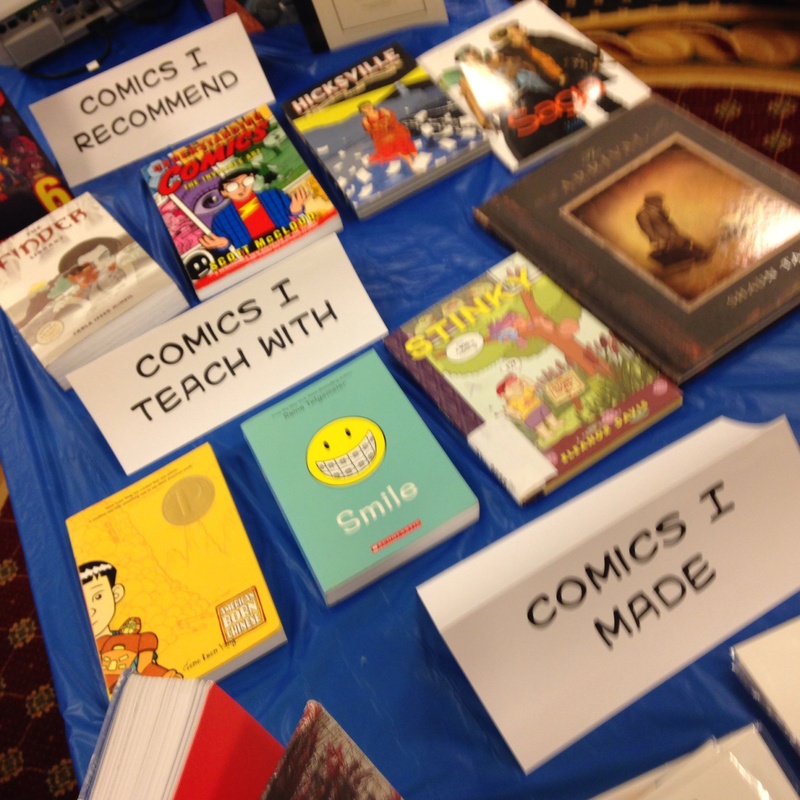 Last weekend I ran a comic book workshop at the Illinois Art Education Association Conference. I had two tables full of books for people to browse and I thought I would share them here. 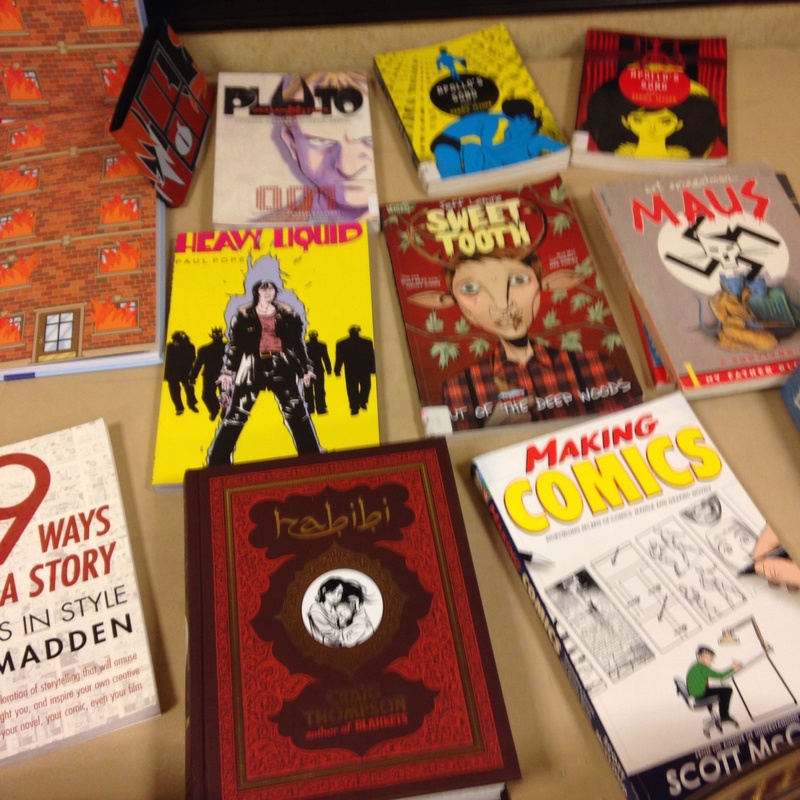 This entry was posted in Recommended Reading and tagged Art Spiegelman, comic books, comics, Eleanor Davis, graphic novels, Maus, Osamu Tezuka, Paul Hornschemeier, Paul Pope, Raina Telgmeier, Recommended Reading, Scott McCloud, Shaun Tan. Bookmark the permalink.